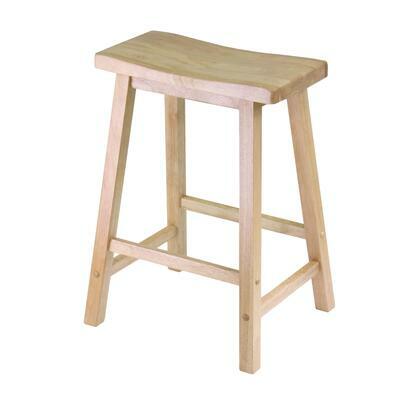 This contemporary saddle seat 24" wood counter height stool is a great seating addition for the kitchen or dining area. 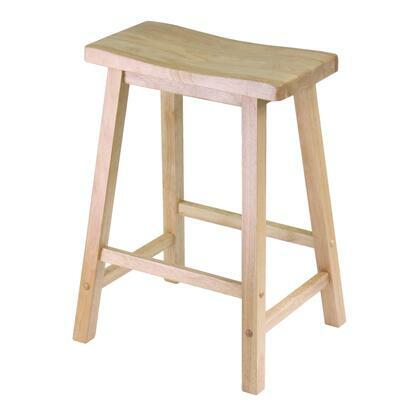 Made of solid wood in a natural finish, the stool provides a sturdy and quality place to sit. The overall stool size is 17.4"W x 14.4"D x 24"H and has a seat dimension of 17.5"W x 8.9"D. Ships ready to assemble with all hardware and tools included. Seat imension is 17.5"W x 9"D. Static weight is 220 lbs.